I have loved getting Talia excited about photography because it's something we can share and do together. She got so excited when she was able to use a camera of her own, and it has been so fun to have the instant gratification of printing the photo right away! I wrote all about our experience with the Instax Mini 8 when she got hers. These cameras are fun for kids of all ages (even grown-ups). There are several smaller follow-up or companion gifts that could go with an Instax mini (like camera cases and albums) and some extra film would make a great stocking stuffer! I've teamed up with Fujifilm Canada to give the winner of this giveaway their very own Instax Mini 9 camera, so stay 'til the end to enter! Some of our most memorable family outings have been to go and see a live show. 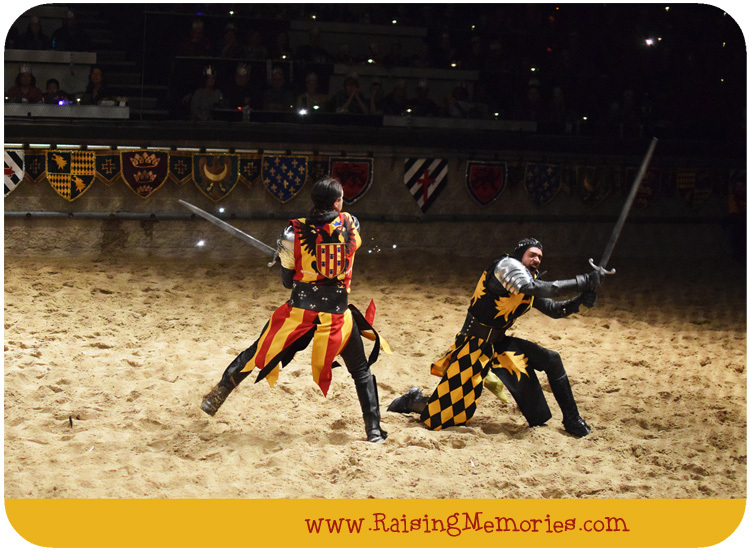 One that we've done twice with our girls is Medieval Times. Our kids get so into cheering for our knight, watching the horses perform, and the amazing skills of the performers! You'd want earplugs if you're sitting next to Talia because she cheers hard! We love that dinner is included and you get to be even more involved in the medieval experience because you're eating with your hands and really get to feel like you're a part of the show. Medieval Times Toronto has partnered with us to provide tickets for a family of 4, to attend one of their shows! So stick around until the end of this post, to enter for your chance to win this and other really fun prizes. My parents used to give us all new pajamas for Christmas, on Christmas Eve and I’ve always loved that tradition and tried to continue it. 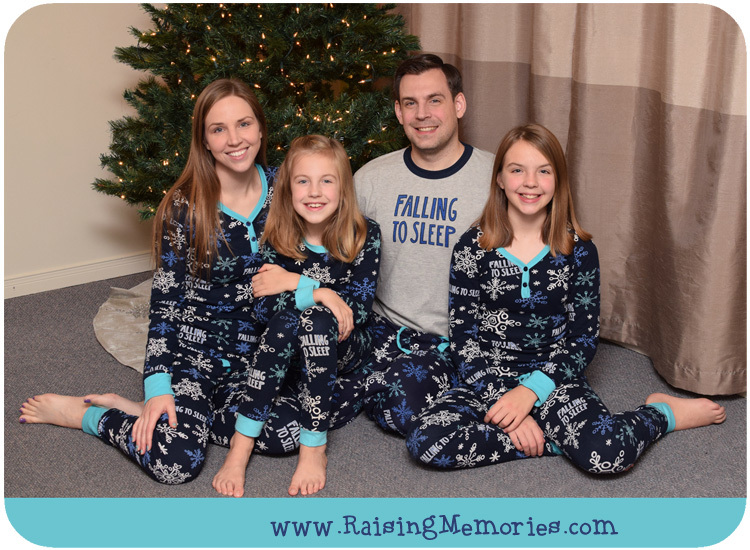 It’s not easy to find coordinating pajamas for the whole family though! I love that LazyOne has so many options and has websites that are able to ship to the U.S. or Canada! At the end of this post, you'll have the chance to win a gift card for LazyOne! You know from my 100 Non-Toy Gift Ideas post that I relate to the struggle to limit the number of toys coming into our homes at Christmas. I have nothing against toys, but they can easily get out of control and create toy overload! 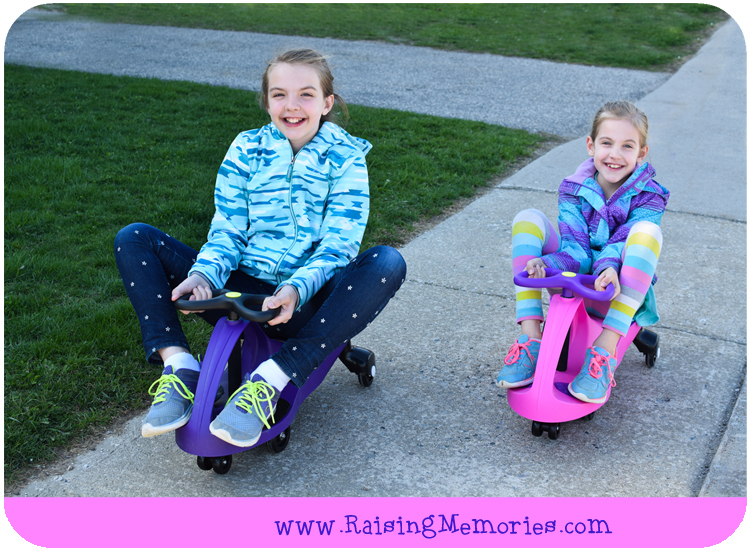 Whether you consider bikes and roller blades and things in that category to be toys or not, I've got to say that Plasma Cars have been one of the most fun things our girls have played with outside this year! You can see what they're like in action on our video in this blog post. You can also enter to win one at the end of this post! When a book fair came to our kids' school, all Katrina could talk about was the day planner that she wanted to buy there! It's not something I'd think of right away for a gift but when I saw how fun she thought it would be to have her own, I started thinking! I loved the Limelife Planner that I reviewed two years ago, here. They have lots of fun ways to customize the colours and layout of your planner and they've recently come out with The Organized Kid Planner, just for kids! It's a great way to teach your kids about organization and time management in a fun way. They can keep track of their chores and goals in it and choose their own designs! 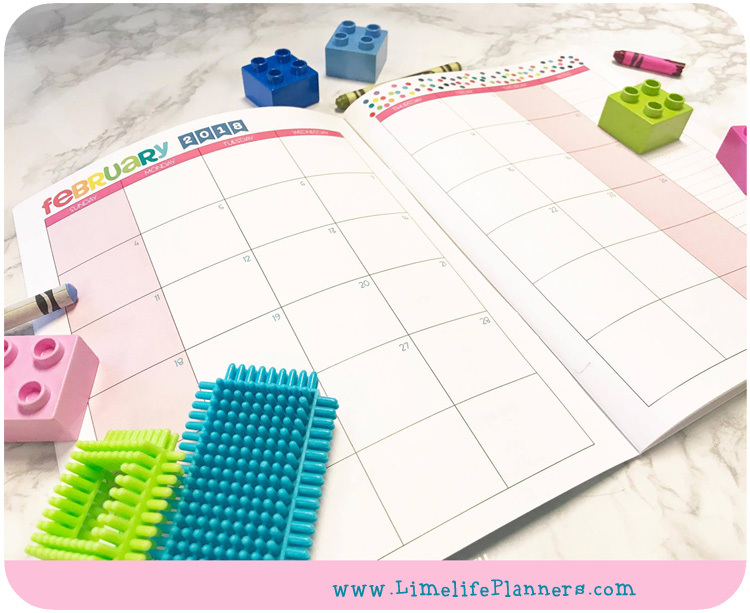 Limelife is providing an Organized Kid Planner for the winner of the giveaway at the end of this post, too! 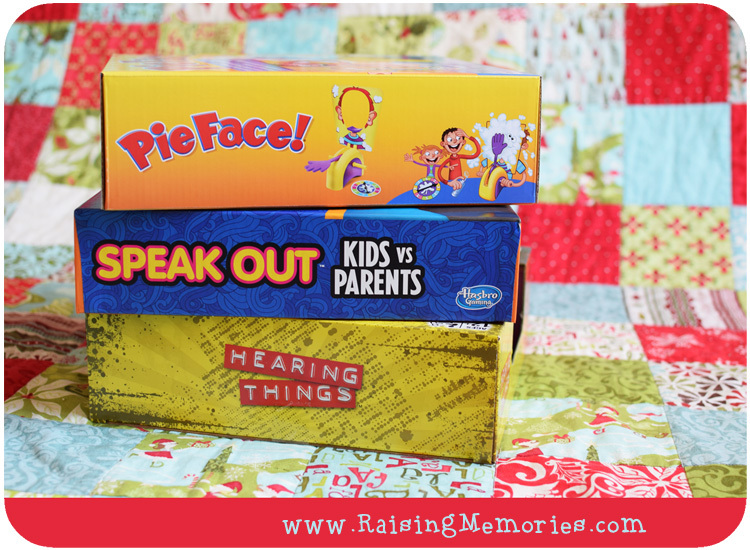 One of the best ways to have fun as a family is to plan a game night! It's very low-cost and takes minimal planning. Pull out a fun game, pop some popcorn, and get ready for a night of fun time together! We love the classics like Monopoly, Guess Who, Trouble, Connect 4, and Jenga. Hasbro has also come out with some really fun and hilarious new games. Pie Face! is hilarious to play with any age group. You can play it with a wet sponge that comes with the game or with whipped cream (I highly recommend you spring for some whipped cream)! You may have heard of Speak Out (you have to say different phrases while wearing a mouthpiece that doesn't let you close your mouth and it gets drooly and crazy! They've come out with a special Kids vs. Parents version that comes with 6 mouthpieces for kids and 4 for adults. Lastly, a new game called Hearing Things; a take on the viral youtube "whisper challenge" that requires you to wear speech-cancelling electronic headphones while another player says random phrases (which you can't hear) and tries to get you to guess what they're saying by reading their lips! Stick around to the end of this post to win one of these games! I love hearing my kids and husband play music in our home. Ken plays the piano, violin, and the ukulele. Talia has a guitar and both of our girls have taken piano lessons but Talia is the one who is really sticking with it. We recently had the opportunity to test out the new Populele by Popuband. [You can check out our Populele Unboxing Video here.] This is the coolest Ukulele! It syncs up (by Bluetooth) with an app that has lessons, games, exercises, and songs for you to learn! The Populele itself has little lights that show you where to put your fingers when you're learning chords or new songs. Best of all, I have seen Katrina remain committed to practicing on it! She keeps at it for way longer than she ever did on Ken's regular Ukulele because she's determined to get a good score in the games! 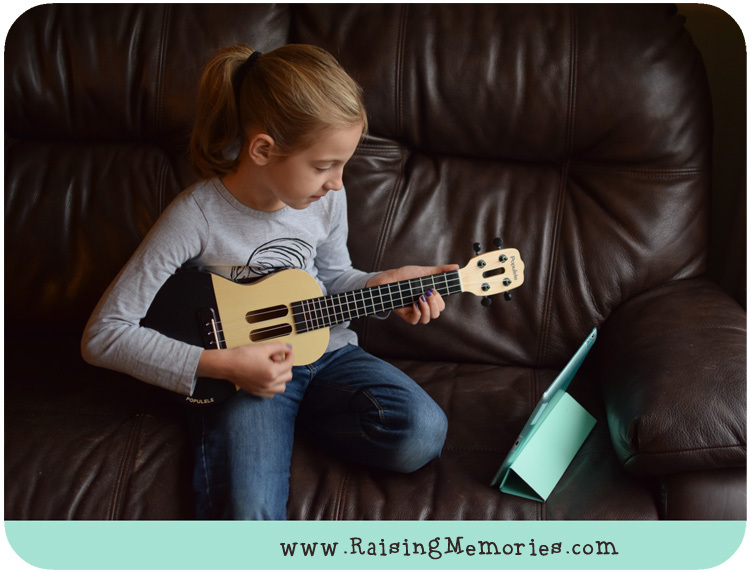 I'm excited to tell you that Popuband has partnered with us to give you the chance to win your own Populele as part of this giveaway! I remember the year my mom let me pick out my own bedding set. I loved my bedding with musical staff and musical notes that looked like balloons! I also have fond memories of going wallpaper shopping to make my bedroom in our new house my own. There are lots of ways to do a bedroom makeover that range in cost from small to all-out and one of our favourites has been Beddy's bedding! I've written in detail about what Beddy's are in a previous post (where I show more photos and video that show you exactly what they're like), but in essence they are adorable zipper bedding sets. 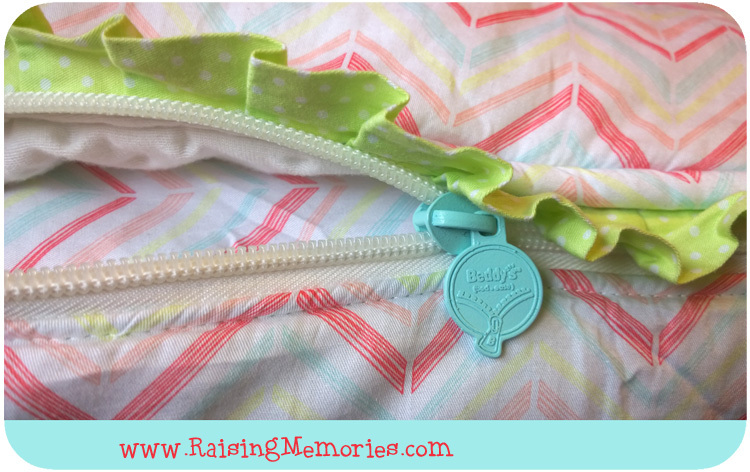 Your kids can make their bed by zipping the zipper- Game Changer!! I truly love this company and their style choices. They have so many beautiful styles to choose from (and they're available all the way up to King size- they're not just for kids!). If you've had your eye on these gorgeous sets, this is your lucky day because you could win your very own Beddy's set in this giveaway! In yesterday's Gift Guide for Moms I mentioned a swimsuit as a gift idea (even if you live somewhere cold) because it can represent a larger gift that can't be wrapped. It could be the clue to tell your child that they're getting swimming lessons, or that you're going on a little family getaway to a hotel with an indoor pool or an indoor water park, or something as big as a family vacation where the weather is warmer! Our favourite swimsuits for swimming outside come from Cabana Life. With a focus on keeping skin safe from the sun, and the bonus of adorable fabric choices, I've written before about why we love them. Cabana Life is partnering with us to provide you with a chance to win a $100 USD gift card, so don't forget to enter at the end of the post! We've watched the Elf-on-The-Shelf become a big hit with families over the last few years, as a fun way to celebrate the holidays. 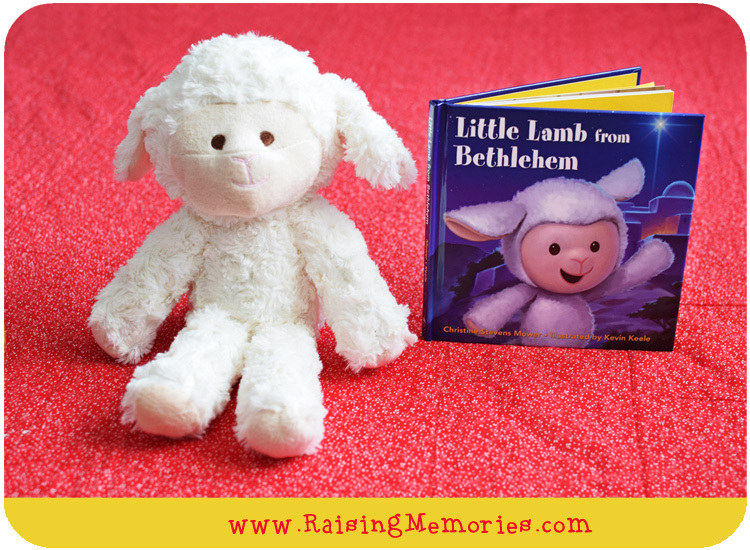 This year there's a new plush friend available from Deseret Book called The Little Lamb from Bethlehem. The lamb comes in a gift set with a book that includes adorable illustrations. The story of Jesus' birth is told from the perspective of a lamb that was in the stable that night. The lamb wants to share the joy felt that night and help others learn about Jesus and become like Him, so he's here to remind you of the story and help you feel the spirit of the first Christmas throughout the season. The book includes suggestions for using the Little Lamb (you don't have to use him daily or weekly, it's totally up to your family how you want to use him. One idea is to focus on secret acts of service (make someone's bed anonymously & leave the lamb on their bed; then that person does something like empty the dishwasher and leave the lamb sitting on top, and the cycle continues as the lamb moves around). There are lots of ways you could use him, it's totally up to you as the story doesn't set any expectations. *The giveaway is open to Canada and the U.S. but a couple of the prizes are only available to be shipped within Canada. In the case of the Medieval Times tickets, you must be able to travel to Toronto. If the winner is not eligible to receive these items, I will re-draw a second winner for the Canada items (and the original winner will receive everything else). 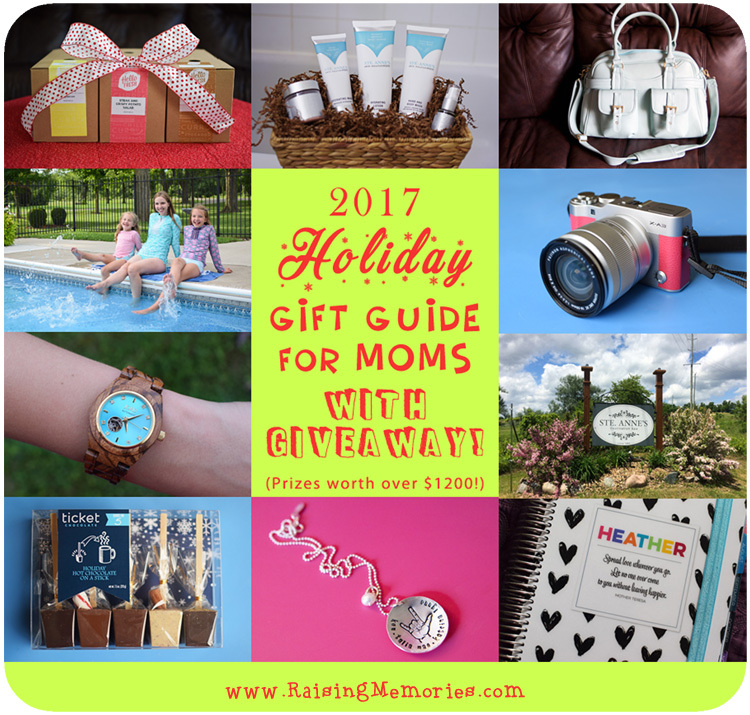 I also have a Gift Guide Giveaway for Moms. 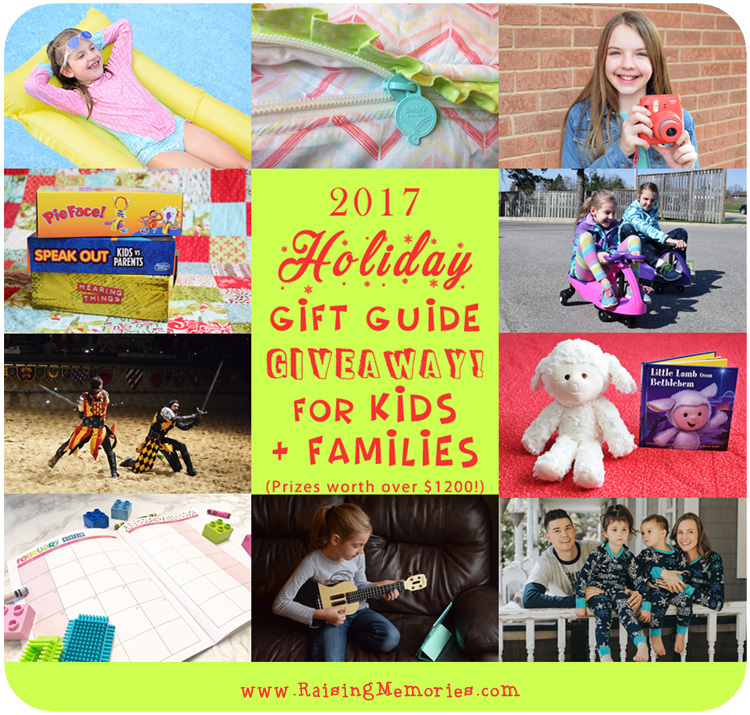 Looking for more gift ideas for kids & families? Check this huge list out! Disclosure: Giveaway prizes and some feature products were provided by the companies mentioned. I made this list of gift ideas on my own, before partnering with these brands to create this giveaway. All opinions shared are, as always, my own. My grandchildren are asking for games this year. Board games and video games. Our grandson is all about the Monster Truck this year! My kids are asking for my Legos, in particular the Millennium Falcon from Star Wars! Not sure Santa is going to be able to hack that! My son is still into Legos this year! One of those finger monkey will be on both lists! 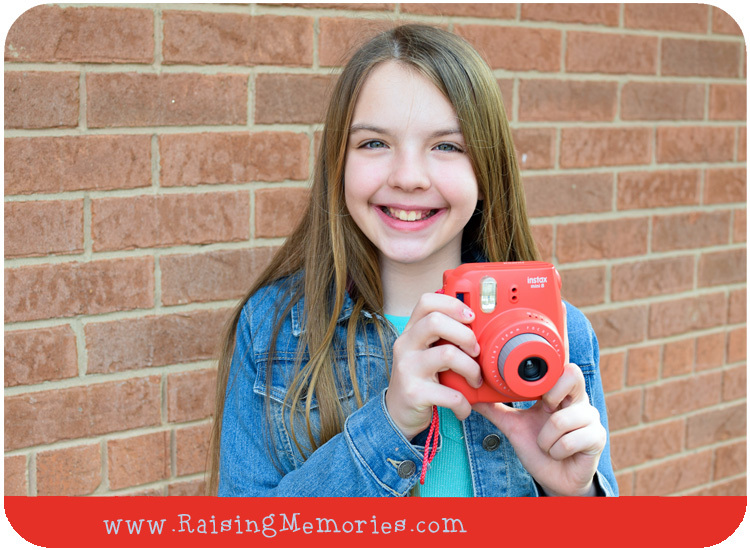 Giving kids a camera is a great way to promote creativity from a young age, and they can be so inexpensive these days too! Sometimes it is funny to see what they come up with. I love that you focus on broad categories, rather than specific items. My kids are pretty hard to buy for, so every little bit helps. Legos have been on my boys' Christmas wishlist for many years now. My niece wants anything to do with the trolls movie ann nephews want video games. My daughters really haven't asked for anything but I know my youngest would love a water baby! My daughter wants Shopkins stuff and my son wants a kindle. My 12 year old has an Instastax camera, a hoverboard, and concert tickets. The little one wants fingerlings, a barbie camper, and a whole bunch of random toys. My 6 year old would love to have her own camera! My daughter has actually been asking for an Instax. My nephew is looking for anything Lego. My daughters are 10 and 13. The 13 year old wants gift cards to her favourite stores at the mall and iTunes. The 13 year old wants her own iPod touch. We would love the plasma cars! They don't have wish list (I discourage that), but books would be well liked. All my kids want Fingerlings. Oldest also wants LOL dolls, some diving toys for the pool, and some doll accessories. My twins want imagination toys and play sets. My grandkids all want lego! My kids always ask for Legos! They are Lego crazy! My 7 year old wants pokemon cards, my 9 year old wants lego, and my 10 year old wants a camera. Thanks for the chance. My niece wants LOL Surprise dolls, and a fidget cube. My son is asking for stick bots this year! Thanks! Miss R's big requests this year are a Nintendo Switch and a Skateboard. My granddaughter is hoping for a whiteboard this Christmas. My girls would like Shopkins toys and my boys LEGO. my daughters don't know what they'd like for Christmas yet. My 6 year old son on the other hand wants everything under the sun 😕 he'd really like a video game system ... that's not happening tho! my daughters don't know what they want yet for Christmas. My 6 year old son on the other hand wants everything under the sun. Mostly he's wanting a video game system ... that's not happening tho! My granddaughter is asking for a new epic tablet, hers finally gave out, and now she needs a new one! Hatchimals are on my niece's wish list this year. My kids want video games ! One of mine has books on his Christmas wish list. my kids are getting really into picking out their own clothes...they have asked for $ to do that! My kid wants a play tent this year. This year, my little cousins are asking for a Sphero Spider-Man App-Enabled Super Hero Toy. He hasn't mentioned anything yet, but I am sure it is tech related. My son wants an Insta camera so that he can click all the family pictures during the holidays. He wants an individual picture of himself with all his grandparents, aunt's, uncle's, cousins to frame them in his room. He also wants to take loads of pictures of his little sibling due in few months. My son really wants a skateboard this year. *sighs* 4 kids- Nintendo Switch for one, Boxing Bag and Court Shoes for another, American Girl Doll Stuff for the youngest, and Clothes and Legos for another! My son is really requesting a remote control spider! A Nintendo Switch is the big gift they are hoping for! My daughter wants a science kit that teaches how minerals are created. My granddaughter wants a Instax Mini 9 from Fujifilm this year. My daughter is only 5 months old so she doesn't have much of a "wishlist" this year, but if I had to guess it would any anything she could chew on. My nieces and nephews on the other hand have everything from pokemon cards to shopkins and colouring books to concert tickets on their wishlists. I'm still trying to figure out what to do for advent calendars this year! 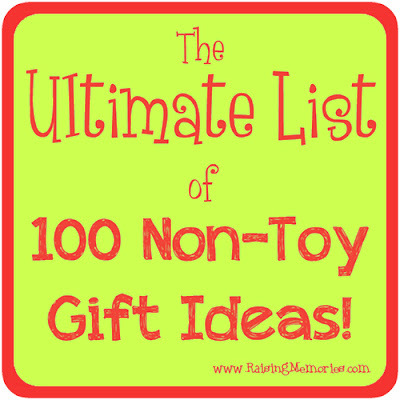 My list as always includes Lego, but this year I'm shopping for a teen, a preschooler, and an infant! I'm scattered to say the least. My granddaughter wants fingerlings for Christmas! Fingerlings are on the list this year! My granddaughter wants an Amazon gift card. My kids are of an age where they'd like cosmetics and bubble bath! My son is asking for Duplo and my daughter is asking for Playdoh. My boys always have Legos, Xbox stuff and now Nintendo Switch..
My daughter wants an Instax and a slime-making kit and my son wants an iPad. Everything Lego is one of the lists. Lots of science, craft and music on the others. This year both my kids want a switch. I will get them Pj's from Lazy ones for sure!! My boys want Legos and my daughter wants a sewing machine! My daughter is asking for a laptop and my son wants anything! My kids have LEGO, Nancy Drew books, Shopkins and superhero dolls on their wish lists this year. Anything Star Wars for my nephew. Anything princess for my niece. My son is grown but clothes and accessories are on my niece's wish list. My son wants gift cards or money so that he can buy what he wants after xmas. A gift of Lego is a gift for the whole family! Great ideas. I'll have to check a few out! My grandchildren want Star Wars toys and Hot Wheels cars. Fingerlings are on my God daughters list! This wish lists I have are long but it seems at the top are Fingerlings and the Speak Out game. My son wants a tetherball set and a bunch of comic books. My son is wishing for a Nintendo Switch! My daughter wants a doll house. My husband and I haven't found one reasonably priced enough yet, but she might get one from her grandma. #4 asked for lightning McQueen "stuff"
My son would love a nexo knights lego set and my daughter is all about the easy bake oven. As every year my son wants a LARGE excavator.. sadly that is not feasible..
My daughter would love to receive LOL surprise dolls or shopkins this year. Thanks! My daughter wants a cell phone. I would say a good set of headphones. Our daughter wants anything music related. My grandson would like Lego and books.